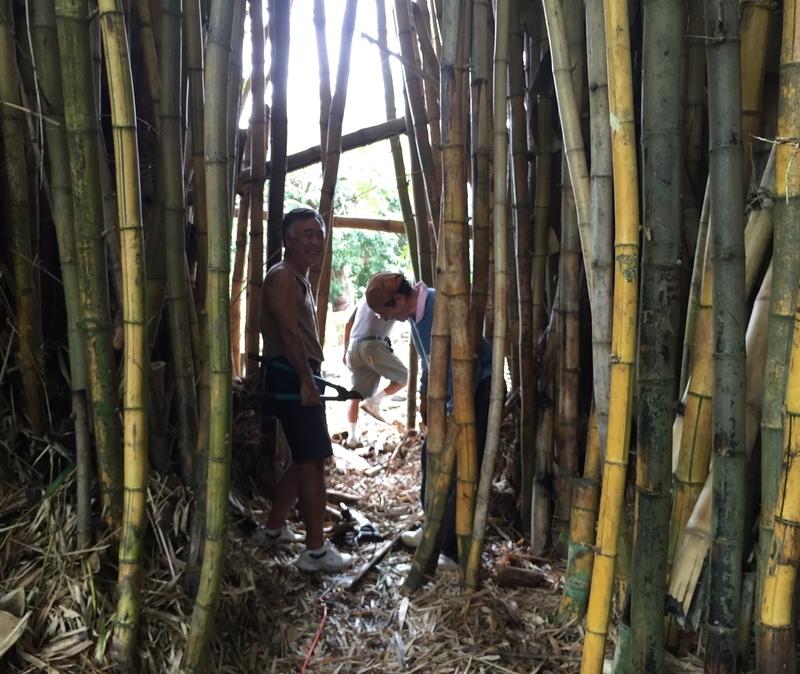 Abundant gratitude to all who came Saturday, July 18, to help with the overgrown bamboo thicket at Lili`uokalani Gardens. Teams of cutters, pullers, and carriers filled Mountain Meadows large truck to overflowing TWICE during the eight-hour day. 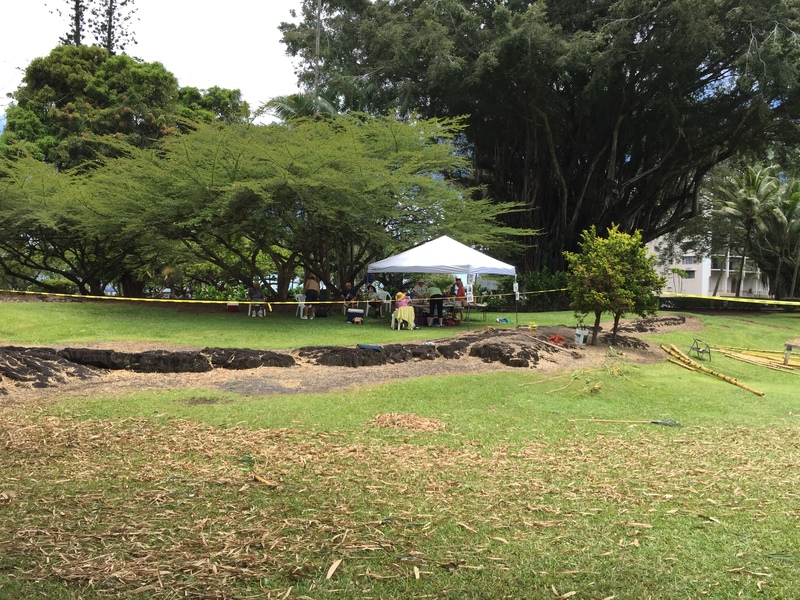 The material was diverted from the Hilo dump to be chipped into mulch at Raymond Tanouye’s nursery. 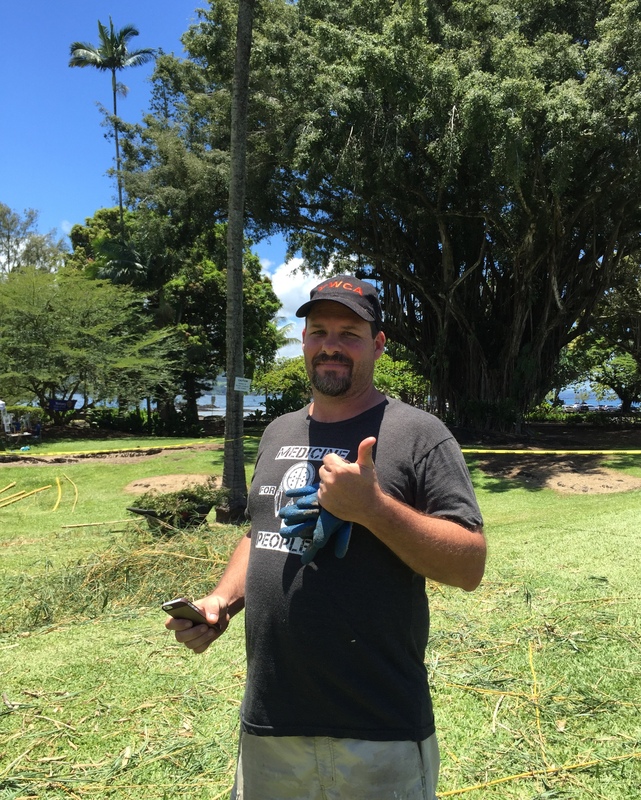 Harvey Tajiri brought a propane powered generator that ran three reciprocating saws all day long. Much gratitude to Craig Shimoda, Kenji Kuroshima, and Cody Osborne for bringing their tools and extra blades. 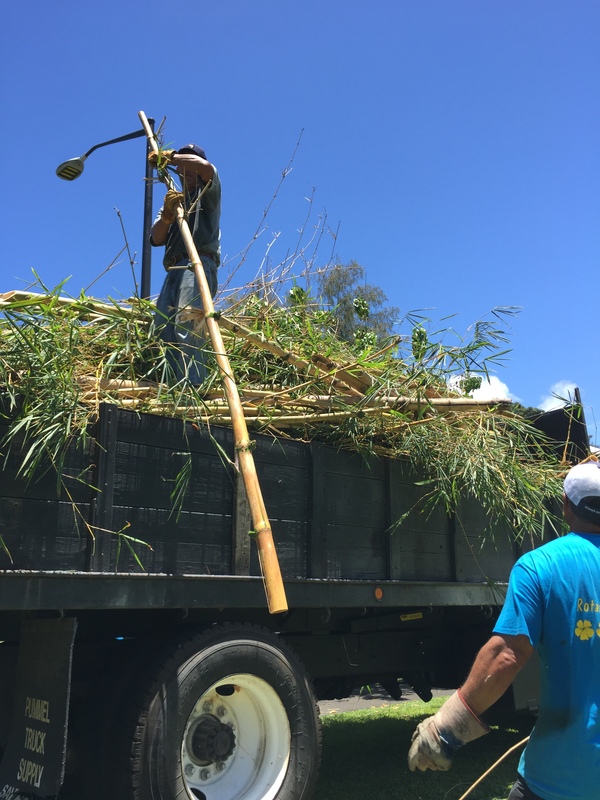 Wally Wong and a team from Rotary Club of Hilo cleaned and cut the long poles into manageable pieces. Many were given to members of the public who stopped by to request material for flutes, flagpoles, and other projects. 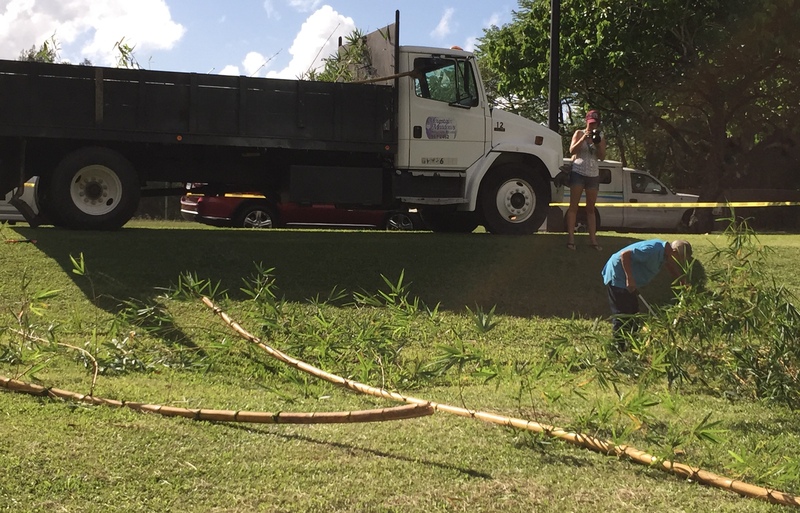 East Hawaii Master Gardeners also participated in the thinning and in the clean-up. 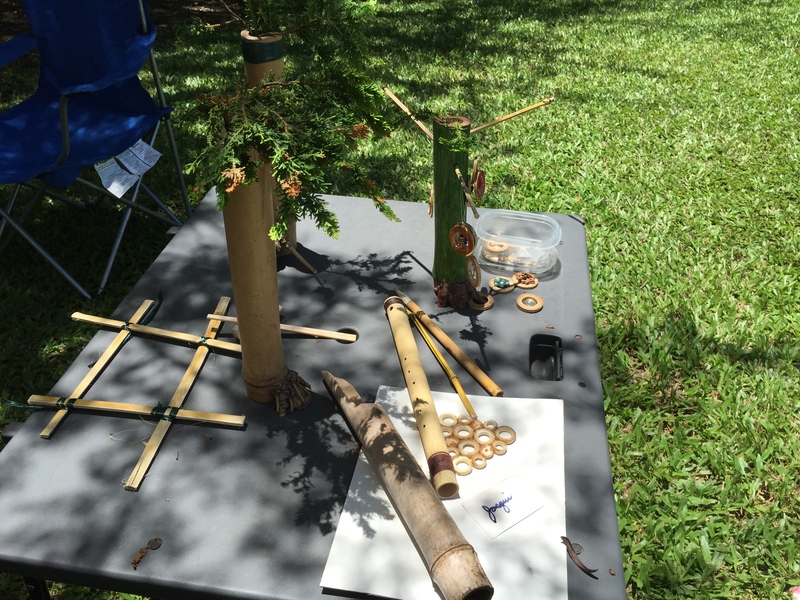 Jacqui Marlin and members of the Hawaii Chapter of the American Bamboo Society co-sponsored the “Bamboo Fun int he Garden” event, answered questions about bamboo varieties and ran craft workshops throughout the day. More remains to be done. 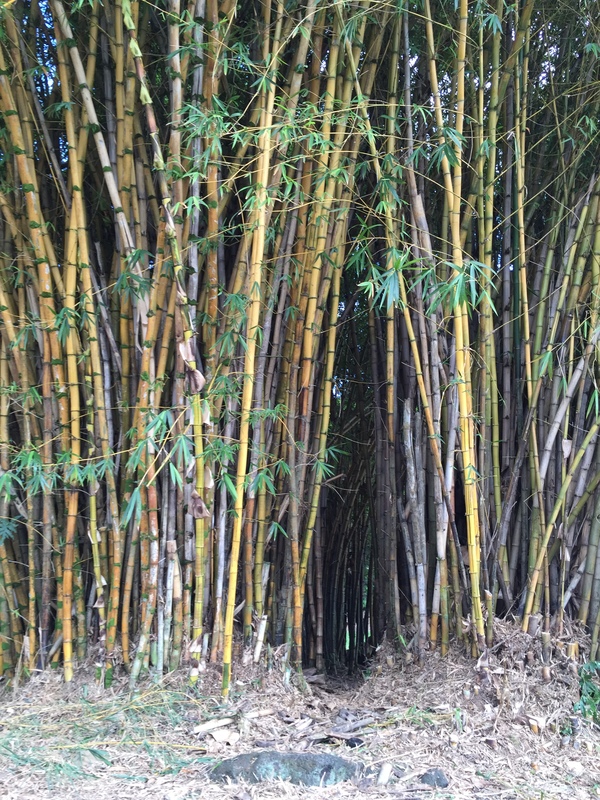 With the County Parks & Recreation Department’s permission, two more days have been scheduled to finish thinning the bamboo thicket: Friday and Saturday, August 21 and 22. 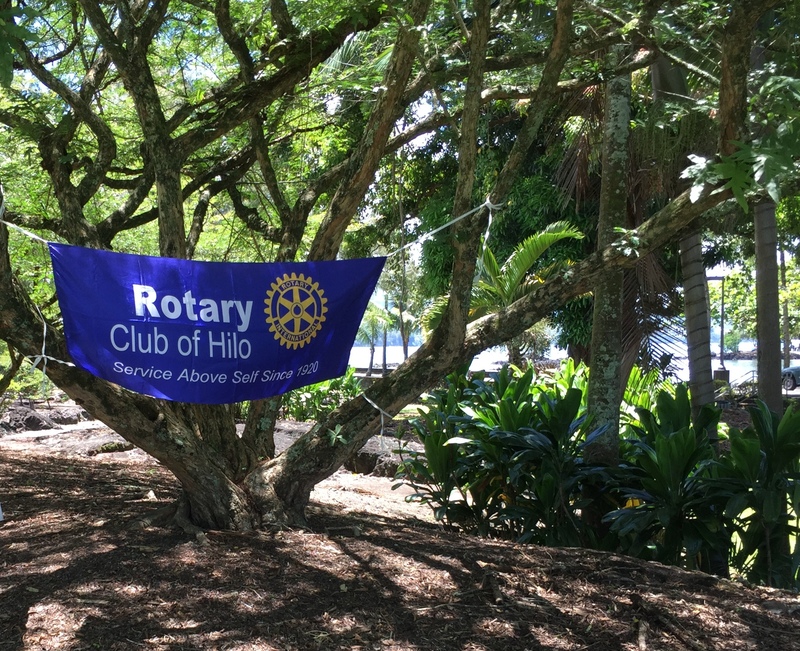 If you would like to participate, come to Lili`uokalani Gardens at 8 a.m. on either day. Wear closed toe shoes and bring your own gloves. 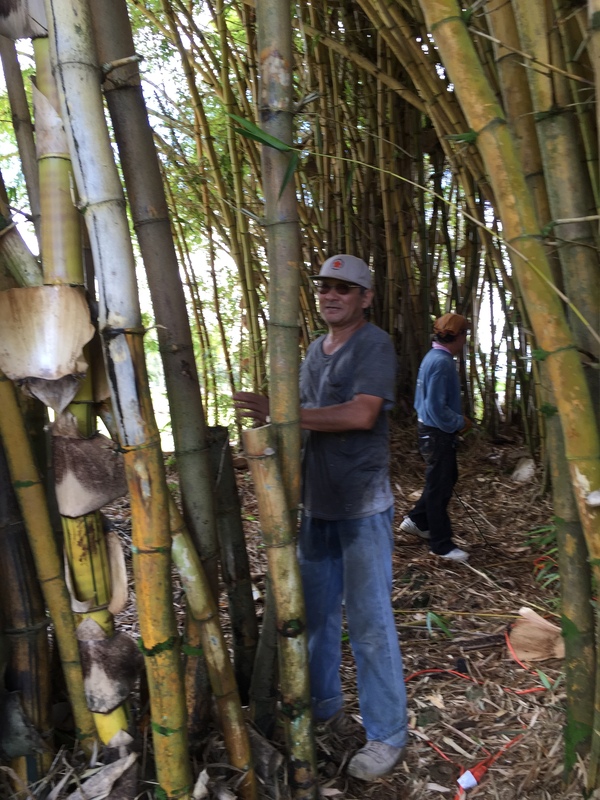 If you would like some bamboo for your own projects, just ask anyone from Friends of Lili`uokalani Gardens to help.